TRENTON – The New Jersey Department of Labor and Workforce Development will sponsor a job fair on Friday, Feb. 8, for Marcal Paper Mills employees who found themselves suddenly jobless after a fast-moving fire destroyed their Elmwood Park workplace. The job fair will be held 10 am to 2 pm at Bergen County Community College, 400 Paramus Road, Paramus, in the Technology Building’s first floor Moses Center. The event is being co-sponsored by Bergen County Executive Jim Tedesco and Marcal’s parent company, Soundview Paper. Friday’s hiring event follows an information session Tuesday in which displaced workers were offered help with unemployment, housing, food, heating, and insurance assistance, among other services. In all, about 500 employees lost their jobs, including some who had worked at the plant for decades. “We are committed to assist the employees displaced by the devastating fire at the Marcal facility in Elmwood Park. 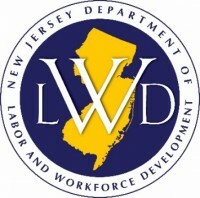 Together with our state partners and Marcal, we pledge our unwavering support to help facilitate this event to connect those affected employees with the resources and potential employment opportunities they need,” said Bergen County Executive Jim Tedesco. “In addition to ensuring our displaced workers have access to public and private sector resources, we are working actively on several fronts to connect each Marcal team member whose job was lost due to the fire to new employment opportunities. This job fair is an important part of that effort. We are grateful for the state Department of Labor for their partnership and for the dozens of employers who have stepped up and agreed to participate,” said Rob Baron, president and chief executive officer of Soundview Paper.